The Essential Templar Leather Belt features a long length ideal for pairing with a knightly tunic. 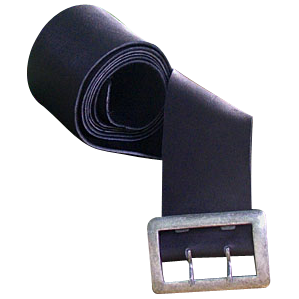 This handmade belt sports a large two pronged buckle at its end, making it a sturdy accessory for medieval LARP and reenactment. Its long draping nature makes this historic belt an easy-to-wear accessory perfect for adding just enough style to medieval and Renaissance inspired outfits. 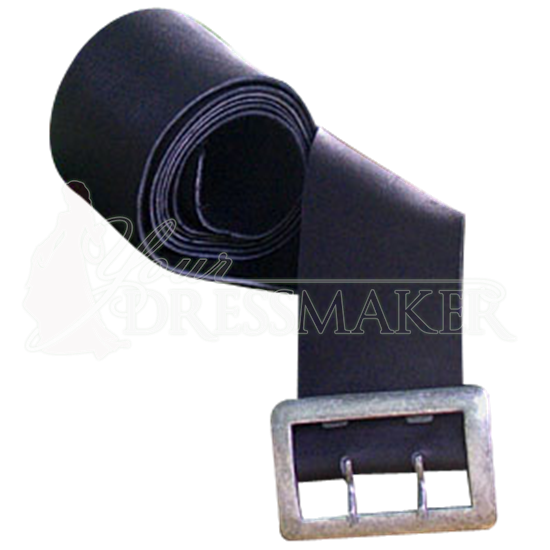 Made of natural cowhide leather in black, this versatile belt can be worn with a wide variety of outfits and looks especially stylish accessorizing flowing shirts and longer tunics.